The Dan Patrick Show is going to B/R Live...but you won't need to pay to watch it. A month ago, NBC announced that the Dan Patrick Show would no longer be airing on NBCSN as of March 1st. They replaced it with a replay of PFT Live and an hour of Sky Sports News, which didn’t exactly set the world on fire. Soon after that, rumors began to bubble that the Dan Patrick Show would end up landing on B/R Live, but it took weeks for an official announcement to come. 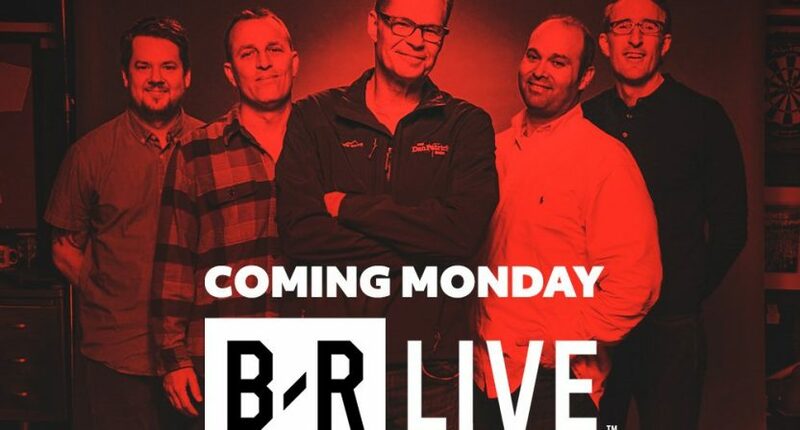 On Friday, the announcement did come – the DP Show would be joining B/R Live on Monday, March 25th, and perhaps most interestingly, it would be available for free instead of only with a subscription. In addition to being on B/R Live, the DP Show will still be available on the Audience Network and the Dan Patrick Show app. Replays will also be available on demand, according to B/R Live’s Twitter support team. Hey Kevin! There will be a replay for every show available on all platforms so you can watch it whenever you'd like. The show going to B/R Live could have been a disappointing turn of events for fans, especially if they weren’t a DirecTV subscriber with Audience. But the show being available for free on the B/R site and app removes one potential hurdle for viewers, and could potentially attract more customers to the service when they see what B/R Live has to offer on their paid service. I’m not going to go as far as to call this a “win,” but it’s the softest possible landing for the video component of the Dan Patrick Show, given the entrenched morning programming on most sports networks.